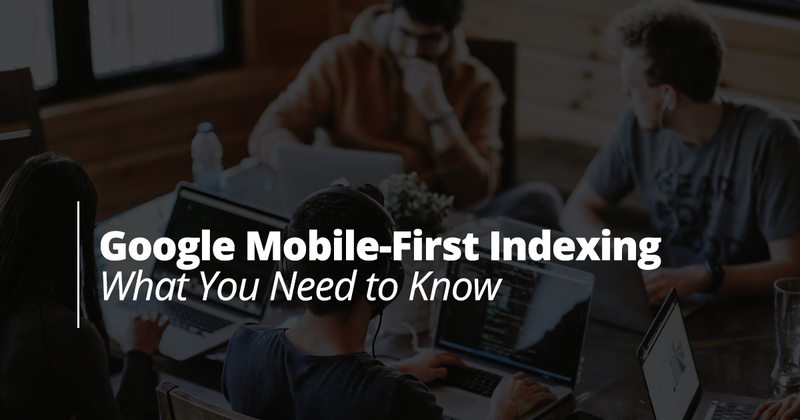 Google is now using mobile-first indexing, which means that the mobile version of a website will be the primary content indexed. Here’s what you need to do to be in good form for these changes. In the last few years, the inevitable has happened. Mobile online use is now more prevalent than desktop. Not hard to imagine why at this point. A family of four has one desktop that’s only used on occasion, but four phones that are in constant use. People use phones everywhere they go, while laptops are mainly used by people working remotely. Google has, up to now, indexed the desktop version as a page’s primary content, but this causes problems for mobile searchers. So the decision is pretty simple. Prioritize the mobile version of web pages to meet the needs of an increasing majority of search engine users. Now this change is of concern only if you fit into a group of (forgive us if this sounds a little harsh) laggards who don’t have a mobile-friendly website to index. Sorry, but if that’s you, you’re badly behind the times. The thing is that mobile responsive designs, which automatically format content to fit any size screen, are now the standard. Most business templates, including our UXI® designs, have mobile responsive functionality built in. Other sites may use dynamic serving, which is more complicated and difficult to build, but necessary for certain applications. If your site is mobile friendly, then mobile-first indexing is no concern. However, if your website is an older, static site, then this change is the nail the coffin. You don’t have to change it – Google still indexes desktop content. You might not even lose rankings (at least not right away) if you don’t change. The biggest reason you should change it is because of how it looks on phones. Because of how it performs. Can people read your content? Find vital contact info? Watch videos or see images? I recently wanted to order take-out from a restaurant, but I couldn’t even find their phone number while viewing their site on my phone. It was impossible to navigate their outdated site so I couldn’t read their menu. They lost a $50 order because of their outdated website. And chances are you will start to lose ranking if your site is static, which usually means slow to load. Google is clear that content with slow load times may be lowered in search rankings, particularly on mobile. Don’t let these types of updates catch you off-guard. Website templates like UXI® get global updates to ensure that the back-end functionality always works with the platforms and devices of the day. If your website is pre-mobile, contact us today. We offer free mockups and also free design projects for our marketing clients. If you have an old site that’s unfriendly to mobile users, getting a free mobile responsive design from Marketing 360® may be the deal of the decade for your business. We look forward to helping you out!